Are you in a sleepless search for the best pillow? Having the right pillow can provide support, cooling, and lasting comfort to help you sleep through the night. This pillow review is going to look at the Snugglepedic pillow. Snugglepedic advertises a pillow that is soft like a down pillow, but will never go flat. Sound too good to be true? Keep reading to learn all the details about this new pillow! In a hurry? Click here to skip the review and jump straight to the summary. 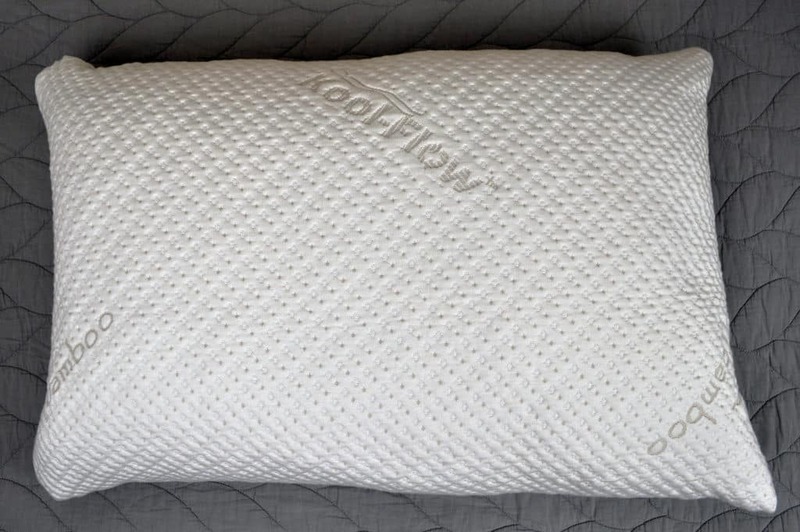 This pillow is soft like down, but offers the head-conforming support of shredded memory foam! The Snugglepedic is constructed from a proprietary mix of shredded Biogreen memory foam and CertiPUR-US memory foam. CertiPUR-US foams have to go through a rigorous testing criteria from a third party to guarantee that their materials and manufacturing methods are safe. In addition, these foams have lower VOC levels and are hypoallergenic. Snugglepedic utilizes a shredded foam blend to provide the comfort of memory foam with a lightweight and breathable feel. The actual foam is gathered from the extra material on the company’s mattress manufacturing line in Westlake Village, CA. The fill is a blend of many different foams from a variety of mattresses.The entire pillow is machine washable as well. For adjustability, the Snugglepedic pillow has a zipper on one end that allows you to add or remove fill until you reach your desired loft. As a general rule, stomach sleepers need a low loft pillow. Side sleepers benefit from a medium-high to high loft. Back sleepers generally need a medium loft pillow. In addition, back sleepers also benefit from a pillow that is contoured to allow more fill at the base of the neck and fill that dissipates as it goes up the top of the head. The Snugglepedic allows sleepers of every position to create the loft they need by removing the internal fill. This leads to better support and an effort to provide the best pillow for every sleeper. 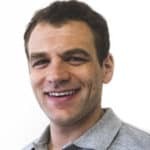 GUIDE: Want to learn more? Check out our complete Best Pillow Guide. The cover of the Snugglepedic pillow consists of 43% Viscose of Bamboo, 56.4 % Polyester, and 0.6 % Lycra. This combination creates a soft and durable cover that is also breathable. Aesthetically, the Snugglepedic cover is an eggshell white color with small “micro vents” for increased circulation, and it has bamboo symbols embossed sporadically across the pillow. The cover on the pillow also includes a zipper for adjustability and can be easily removed to wash. The overall feel of the Snugglepedic pillow is quite nice. It is all foam, but feels a little denser and bouncier than some of the other adjustable memory foam pillows I have reviewed. This pillow allows a moderate amount of sinkage, but not so much that you find yourself “bottoming out” the pillow. It does take a bit of adjusting before it’s right, as the foam tends to stick together. When sleeping on my stomach, I found this pillow to be too lofty as is, but once I removed about half of the fill, it was much more comfortable. When sleeping on my back, this pillow also needed to be adjusted to bring the fill toward the base of my neck to provide support. However, once adjusted it was comfortable and supportive throughout the night. Lastly, when sleeping on my side, this pillow was probably the most comfortable. The higher density of the foam provided great support for the curving profile from my neck to the top of my head. One thing to note about the fill is that is it pretty different from traditional memory foam. While it does have the viscoelasticity of memory foam, it has a denser feel with a little bit more push back. In addition, the foam tended to clump a little more than a finer shredded or crosscut foam. Smell – Moderate; I would recommend letting this pillow air out for 24-48 hours prior to sleeping on it. Should I Buy the Snugglepedic Pillow? 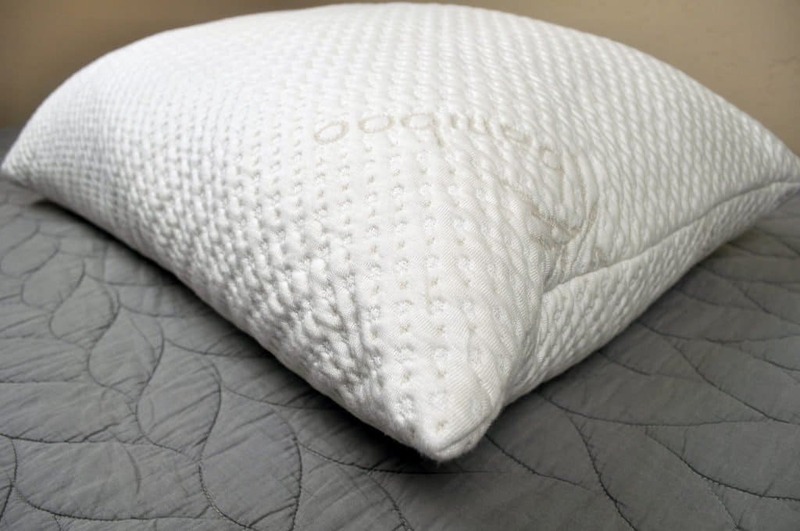 Overall, the Snugglepedic pillow is a nice, adjustable shredded memory foam pillow. It was comfortable, supportive, and slept cool through the night. Want a shredded memory foam pillow – Sleepers who like the feel of memory foam, but still want something with a more traditional loft and feel will enjoy the shredded memory foam. Want nice cooling – While it isn’t the most cool pillow I have tested to date, this pillow does do a decent job with respect to cooling. The shredded design and breathable cover both help to this end. Want a bamboo infused cover – I have not seen many other bamboo infused covers at this price point. If you’re looking for a value-type pillow that includes a bamboo cover the Snugglepedic can be a good option. For more information on the Snugglepedic pillow check it out at Amazon.com. The Snugglepedic pillow is an adjustable foam pillow that uses a variety of foams to create a dense, yet bouncy and soft pillow. It has a quicker response time than other memory foams and a nice amount of air flow. This material is not the highest quality I’ve tested, but if you’re looking for a pillow that is soft, adjustable, and a bit more responsive (without breaking the bank) the Snugglepedic may be the choice for you.